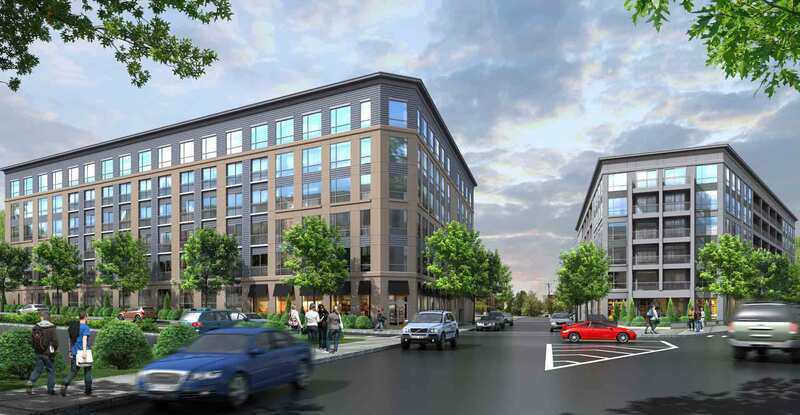 Two parking lots currently referred to as “Parcels 9 and 10” are being developed by RMS Companies as part of the City of New Haven’s Hill-to-Downtown Community Plan. The properties are bounded by Congress Avenue and Lafayette Street, and bisected by Washington Street. 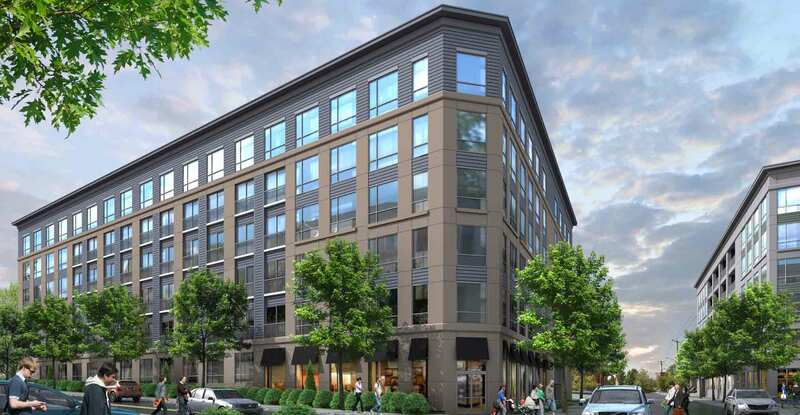 Kenneth Boroson Architects was retained by RMS to determine the best use for the properties; we recommended two six-story buildings to include a total of 194 residential units. Our firm is now providing full architectural services to complete the projects. 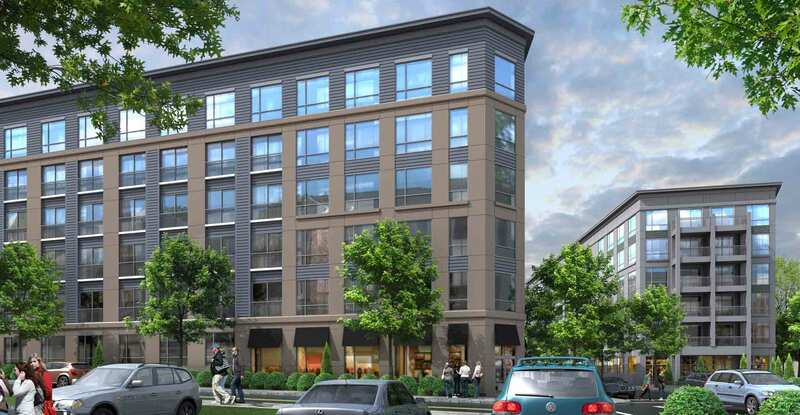 The apartments at Congress and Washington will include 90 dwellings in a 152,000 sf building (70 one-bedroom, 15 two-bedroom, and 5 three-bedroom units). Parking will be available in an on-site garage. The building at Lafayette and Washington is designed to be 126,400 sf and will include 104 apartments (85 one-bedroom units, 14 two-bedroom, and 5 three-bedroom units). 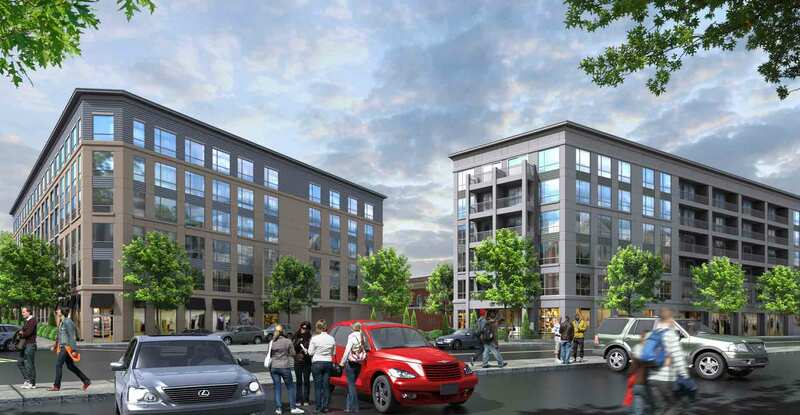 Dedicated parking will consist of a surface lot and below-grade garage. In addition, both structures will provide ample secure bicycle racks. Each building will include indoor amenity space on the ground floor and second floor, featuring recreation and study areas, as well as rooftop decks with unobstructed views of the City. The tip of Parcel 9 (Congress and Washington) will also include a landscaped garden and dog park. Of the 194 apartments, 30% will be classified as affordable, with the remainder to be market rate.